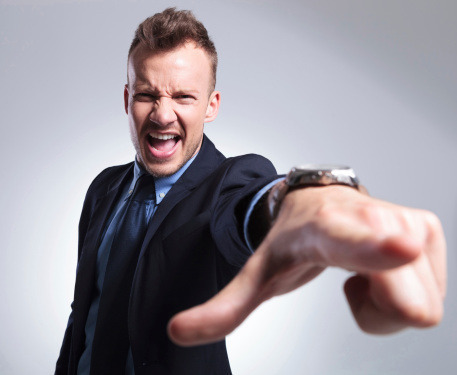 Is your boss making you crazy? Insane deadlines, micro-managing, mood swings, or just an ominous feeling that you don’t trust her? study, the majority of people would trust a stranger over their boss. It doesn’t have to be that way. You have more power than you think. For the next 2 minutes, I’m asking you to replace any boss-induced frustration with a feeling of intrigued curiosity. You can improve your relationship with your boss. You should. Here’s how. The boss-subordinate relationship is unnatural by design. We sell our power for money. We look to a person we have not chosen (whom we may or may not respect) for affirmation, evaluation, and reward. In order to “succeed,” we strive to figure out what will make the guy like us and adjust our style accordingly. We take every criticism to heart, even when we don’t believe it. We take this already unnatural structure and impose even more awkward performance feedback systems. Imagine if we burdened our home relationships with some of the same formal systems we impose at work. “Honey, I’ve decided to give you an end of year appraisal. Your cooking’s improved, and you’re taking out the trash without being reminded, you get an A in housework. But you’ve been so stressed lately; I have to give romance a B-. We wouldn’t even consider that kind of stunt with our children, where we have more power. If such tactics wouldn’t work with people who know and love us, why would we imagine they would enhance trust at work? The secret to a healthy boss-subordinate relationship is to remember that it’s just that, a relationship. You’re two messy human beings doing the best you can. Beginning in the space of imperfection offers much freedom and power. It’s not your boss’s responsibility to motivate you, develop you, or direct your career. That’s your job. Sure the best leaders will help you grow, but never forget who’s really in charge. Seeing your boss as a flawed human being has other benefits too. Instead of judging him on how well he’s doing, focus on how you can best support him. Not in a “kissing up” or “if I do this, he’ll owe me that” sort of way. But because you’re too messy human beings in a relationship, working on the work.. If you haven’t asked your boss the obvious question, “how can I best support you?” do that today. Some bosses will be great and give you a list. Most will likely give you a vague response or tell you you’re doing just “fine.” So here are a few fail proof tips for supporting your boss. Your boss knows there are problems and shielding her from them will only make her nervous. Lift up the issues you find, along with solutions to address them. She will sleep better knowing you are paying attention and are all over it. It’s not bragging—it’s useful. Well-timed, detailed summaries help to support the performance management process. Leaders often suffer from information overload. They are often called upon to summaries complex issues on the fly. That’s not when they want to go digging through emails to find the details they need. Resist the urge to cc and forward emails without a summary attached. The best way to get your boss to ask you how THEY can better support you is to start with asking how YOU can improve. Ask for specifics that will help you identify some new behaviors to increase your effectiveness. 2. What do your peers say about me? 3. If your boss were to give me one piece of advice, what would it be? 4. Who should I be working with more closely? 5. What could I be doing to make your job easier? 6. To what do you attribute your own career success? 7. How can I be more effective in that arena? 8. Which parts of my style concern you the most? 9. Specifically, what do I need to work on to be ready for ___________ (insert the job or assignment you are most interested in here). The biggest mistake you can make when giving bad news is waiting too long. Your boss would rather know what’s going on, even if you don’t need her help. Use the D.A.R.N method to guide your approach. “I’ve had a bad day. We have a bit of a situation, and I need to fill you in. _______ happened… and now we have ____. When I dug deeper I learned it was caused by _______ (behavior or situation, not person). “Here’s what I’m going to do next ________. I could use your help with _________(if needed). Karin Hurt is the author of “Overcoming an Imperfect Boss: A Practical Guide to Building a Better Relationship With Your Boss” and CEO of Let’s Grow Leaders. Named on Inc’s list of 100 Great Leadership Speakers and as a Top 100 Thought Leader in Trustworthy Business by Trust Across America, Karin improves business results through deeper trust & connection. Connect with Karin on Twitter at @letsgrowleaders.